This statistic shows the percentage of teens who reported owning a computer. 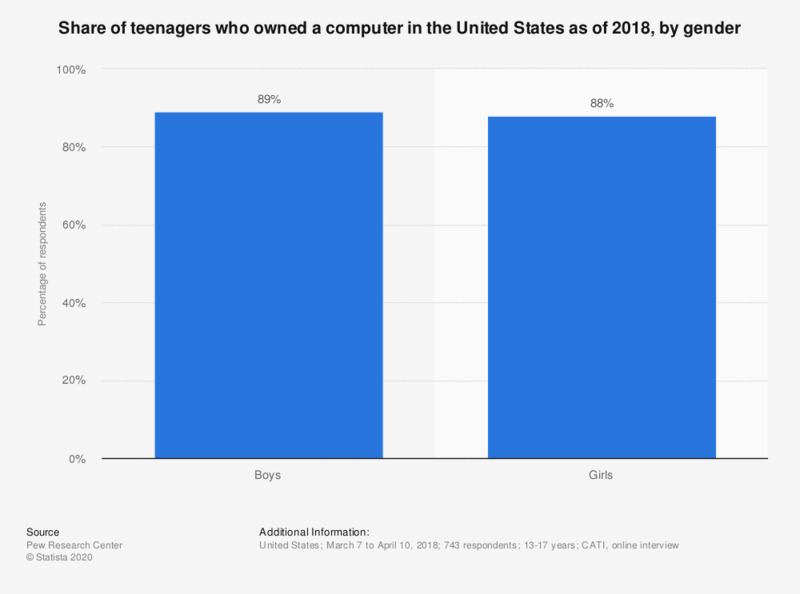 The statistic allows for comparison of computer ownership between boys and girls in the U.S. in 2018. The survey showed that almost 89 percent of male teen respondents reported owning a computers.